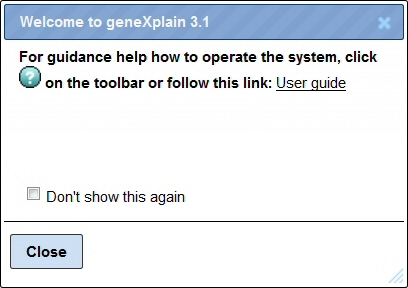 which you should just close (press Close button), unless you wish to get the User Guide. Now (but please, give the interface a bit time to establish), you should see a page like this. When it looks more like this go to the grey bar on top (indicated by the red arrow) and shift it downwards with the left mouse button being pushed. You will now see how the workflow proceeds when the progress bar is increasing and the building blocks in the workflow schema (section at the lower right of the screen) are successively greyed out. 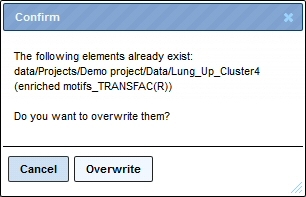 As soon as the workflow is completed, the page will look like this. The following pages will open automatically one by one. 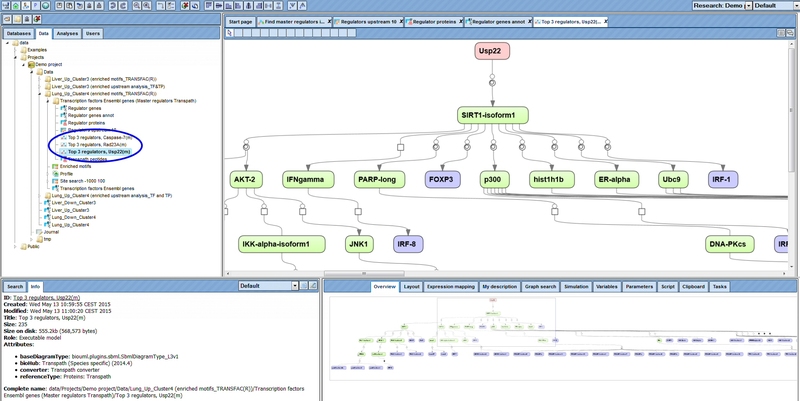 The first table shown below (tab highlighted by red oval), which you can also find in your results folder (blue oval), lists the potential master regulators, located in the signaling network where several signaling cascades converge. Note that the ranking of identified master regulators can slightly differ from run to run based on a random background set calculation within the algorithm. 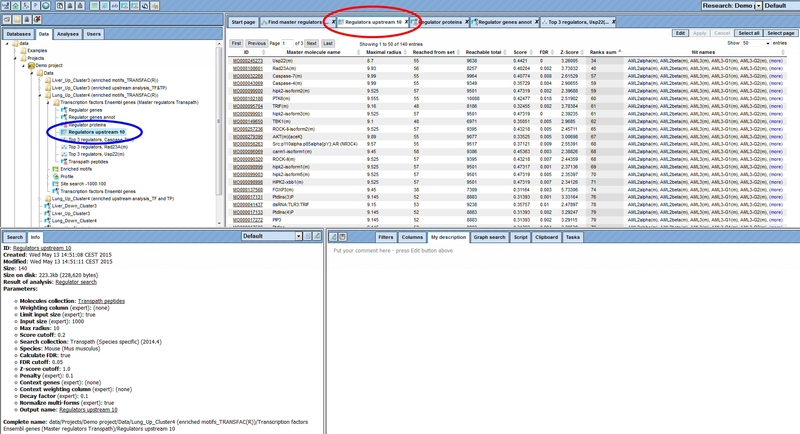 Note also that the molecule ID links in the first column require a valid TRANSPATH® license to become active (login required). 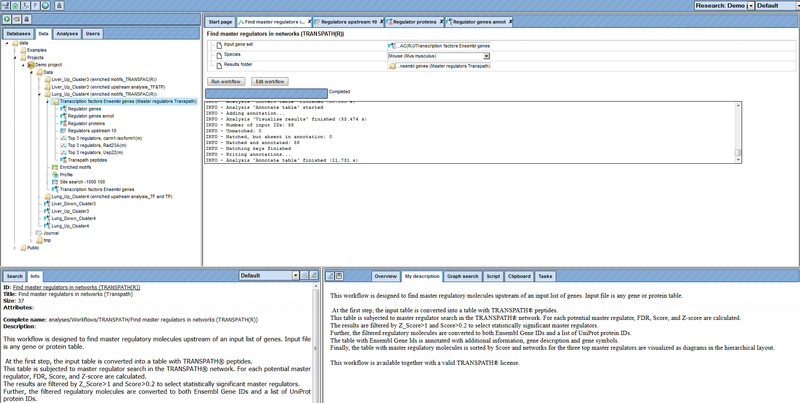 The other two tables opened under separate tabs show the potential master regulator proteins, mapped to UniProt, and their gene mapped to Ensembl. The visualization of the top 3 identified master regulators can be found as diagrams in your result folder (blue oval). One example is shown below.